Denying children an education because of the actions of their parents is not legal. The right to a public education for those who are not U.S. citizens, legal residents, or living with their parents is not a clear and stable issue. Children who enter the U.S. illegally with or without their parents are at the heart of this question. Today education is perhaps the most important function of state and local governments. Compulsory school attendance laws and the great expenditures for education both demonstrate our recognition of the importance of education to our democratic society. It is required in the performance of our most basic public responsibilities, even service in the armed forces. It is the very foundation of good citizenship. Today it is a principal instrument in awakening the child to cultural values, in preparing him for later professional training, and in helping him to adjust normally to his environment. In these days, it is doubtful that any child may reasonably be expected to succeed in life if he is denied the opportunity of an education. But in 1973, in San Antonio Independent School District v. Rodriguez, the Supreme Court held that access to public education was not a constitutional right under the U.S. Constitution. In another case, Chinese-American students with limited English language proficiency claimed the San Francisco school district’s failure to provide language accommodation and support for them violated the U.S. Constitution and Title VI of the Civil Rights Act. Finding in favor of the students, in Lau v. Nichols (1974), the Supreme Court focused not on the constitutional question but on the Civil Rights Act. Congress codified much of the decision shortly thereafter by passing the Equal Education Opportunities Act. The Court noted that, if the state intends to deny such a benefit, it should have a sufficiently valid reason. The Court found that denying children an education, not due to their own actions, but the actions of their parents, was not sufficiently compelling to deny children this important public benefit. During the 1990s, the education rights of undocumented PreK-12 students came into question in several state proposals. California and New York considered state provisions that, contrary to the holding in Plyler, would have foreclosed access to undocumented students. The California initiative, Exclusion of Illegal Aliens from Public Elementary and Secondary Schools, was part of the Save Our State proposition, passed by California voters in 1994. A federal court issued an injunction against the law in League of United Latin Amer. Citizens v. Wilson in 1995. The litigation was abandoned when California elected a new governor, Gray Davis. The U.S. House of Representatives passed a similar provision in 1996 as part of the proposed Illegal Immigration Reform and Immigrant Responsibility Act. However, it was removed from the final legislation. In 1996, a federal statute, the Personal Responsibility and Work Opportunity Reconciliation Act, passed, precluding undocumented higher education students from applying for federal financial aid and student loans. Further, the Illegal Immigration Reform and Immigrant Responsibility Act prohibited states from offering in-state tuition to undocumented students. In response, starting in 2001, legislation has been introduced that would offer undocumented higher education students conditional residency and access to public higher education on par with other students. The Development, Relief, and Education for Alien Minors (DREAM) Act allows undocumented minors of good moral character who were younger than 16 when they entered the country and who have lived in the U.S. for at least five years to have lawful permanent resident status upon graduation from high school. DREAM students also would qualify for federal financial aid and in-state college tuition. It has been introduced regularly but Congress has not passed it. Preserving education rights in the current political environment has been challenging, particularly for undocumented students. 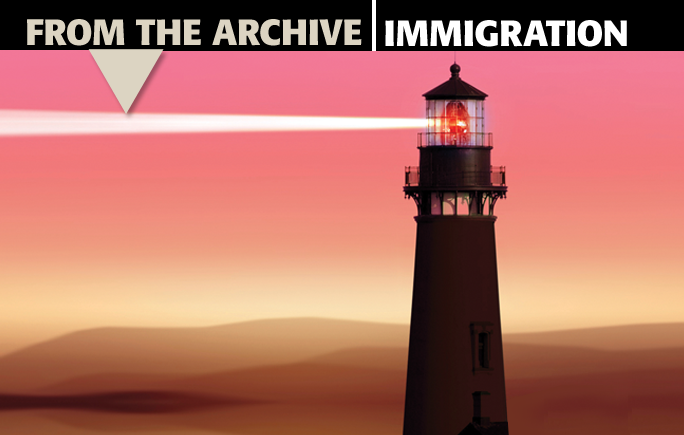 There are a number of anti-immigration lobbies and associations. The Federation for American Immigration Reform regularly provides its estimates of the costs of educating undocumented children and unaccompanied undocumented children in the public schools. They suggest that these costs are an unreasonable drain on state and local budgets. In this era of declining public education resources, this strategy may appeal to voters, school board members, and administrators. If the current U.S. Supreme Court was called upon to uphold the 5-4 decision in Plyler, court watchers are uncertain about the outcome. Originally published in December 2015/January 2016 Phi Delta Kappan 97 (4), 76-77. © 2015 Phi Delta Kappa International. All rights reserved.